With a variety of limited-access drill rigs in our fleet, we can take on those low-overhead or “way in the corner” installations that are not accessible by larger rigs. We also have a number of full-size rigs with the muscle to take on tough drilling through rock and installations to 100 feet deep or more. No matter what type of drilling solution you need, we can provide it! 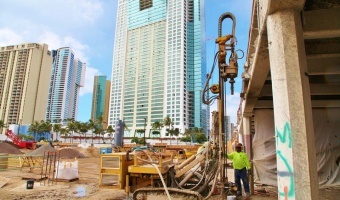 Read more about our commercial drilling systems here. 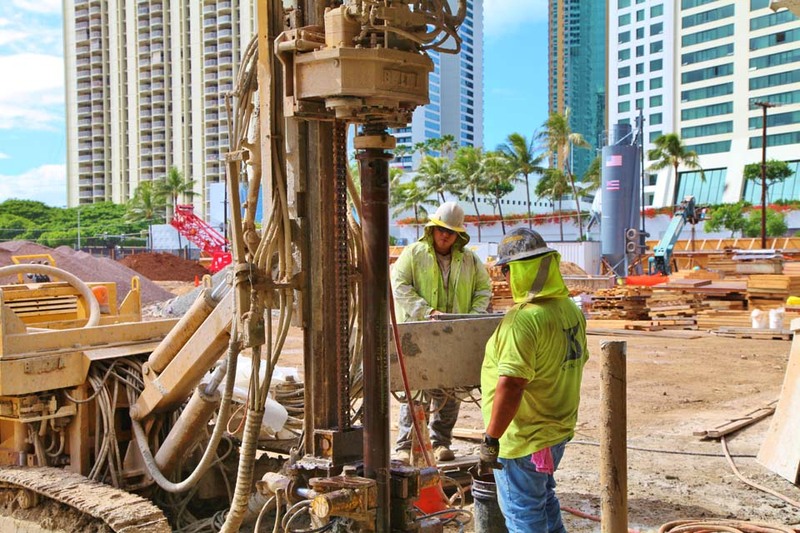 Deep foundation systems, including micro-piles, anchors and tiebacks, are proven solutions to problems presented by unstable or unsuitable soil conditions. Our crews have installed a range of small-diameter drilled systems on all the major Hawaiian islands. These systems include soil nails, permeation and consolidation grouting, as well as drilling probes and grouting voids for new developments. Where existing as-built construction or conditions limit access for larger foundation construction equipment, our fleet of limited access rigs can install a range of drilled systems in a variety of subsurface conditions. Our systems have been installed and tested to loads as great as 300 kips or 150 tons. Our local architectural and engineering community use these capabilities to allow development of lands previously considered “unsuitable” due to inaccessibility or difficult soil conditions. Our systems have been key to the design and construction of several commercial and residential developments on Oahu and Neighbor Islands. 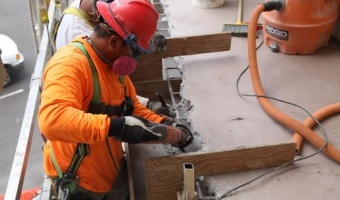 As certified installers for Chance Civil Construction products, we can combine the Atlas® and Chance™ lines of pre-engineered foundation products with our drilled systems to address a broad range of applications. We have completed projects on all the major islands (with the exception of Lana'i). 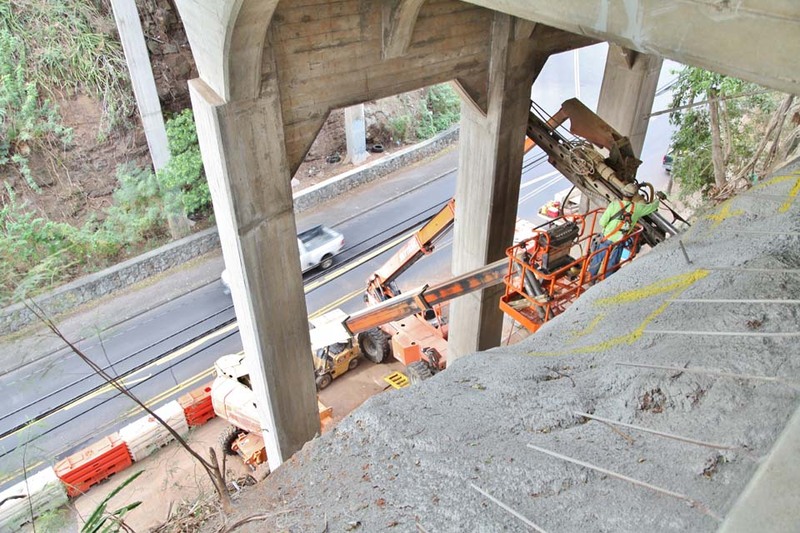 The combination of our state-of-the-art equipment and our vast range of experience provides our staff and field crews with unmatched capabilities and the expertise to address the many construction requirements and varied geotechnical conditions unique to Hawaii. 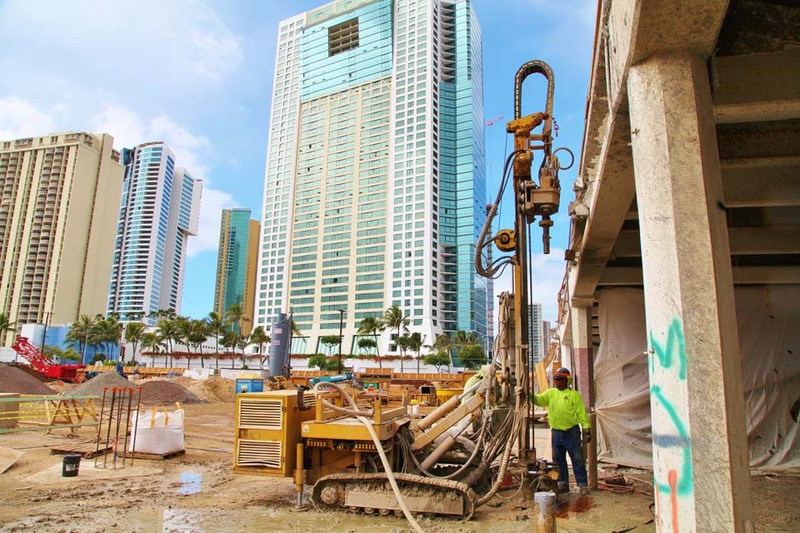 The crews at Structural Systems (and at our unionized subsidiary, Kelikai) have compiled decades of experience installing deep foundation systems. This experience includes a comprehensive range of piling systems for bearing support and anchor systems for tension applications. Our equipment fleet includes “standard” full-size rigs along with the most extensive selection of limited-access low-overhead drill rigs in the state of Hawaii. Combining our extensive experience with a unique and robust equipment fleet, we are capable of installing everything from small (4½”) diameter micro-piles and anchors to larger (7” to 9.625”) diameter systems to depths exceeding 100 feet. As defined in FHWA-RD-96-016 “Micro-piles are small diameter drilled and grouted reinforced piles used for both structural support and insitu earth reinforcement.” Typically less than 10” in diameter, allowable design capacities frequently exceed 100 kips and our crews have performed testing in excess of 225 kips or over 100 tons. Micro-piles are frequently used where a deep foundation system is required in difficult substrata conditions, or where driven piles or large diameter systems are impractical due to subsurface obstructions, or limitations presented by existing buildings at or adjacent to the project site. The FHWA (Federal Highways Administration) NHI-05-039 (from FHWA SA-97-020) “Micro-Pile Design and Construction” is the most authoritative publication in the micro-pile industry. It is invariably cited in project specifications, and governs the vast majority of the micro-piling work we perform. The PTI (Post-Tensioning Institute) DC35.1-04 “Prestressed Rock and Soil Anchors” is similarly authoritative, and governs the majority of our anchor installations. Our crews are well-versed in both of these publications, and are experienced in meeting or exceeding the requirements of the above authorities. Where applicable, we test our installations in accordance with standards published by ASTM. Our work has taken us to the tops of Hawaii’s mountainous ridges, and into the depths of below grade (below sea level) excavations.